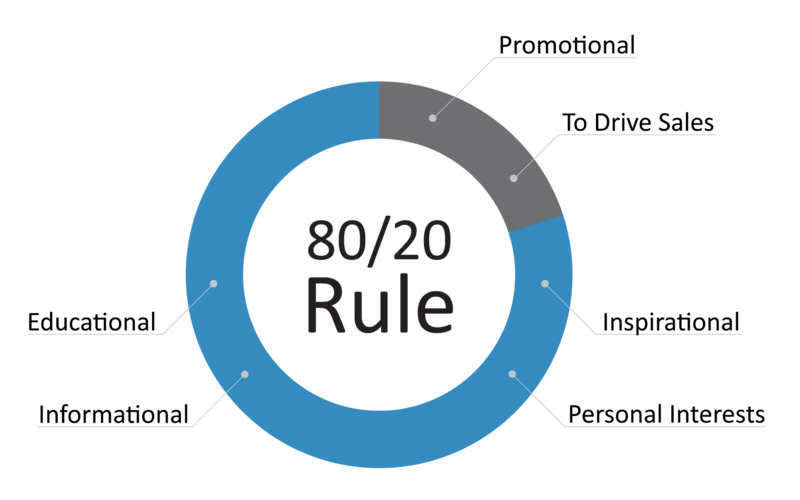 You’ve heard us reference the 80/20 rule time and time again. But why is that necessary for your business, you ask? We’re answering that question with an in-depth look into why the 80/20 rule is necessary to follow for the success of your social pages! As a refresh, the 80/20 rule suggests that 80% of your content on social media should be interesting and informative to engage your audience. The other 20%t should be about your business to drive sales or promotions. Below is an infographic detailing this. This rule applies to all forms of social media, but for our purposes, we’re going to focus on Facebook and Twitter. Think about when you’re scrolling through Facebook and all you’re seeing is ads or promotions saying, “Buy this!” or “Buy that!” This can become incredibly frustrating, and if it’s one source, you might consider unfollowing. However, now think of a page you follow that posts interesting content regarding your industry and life. Whether it’s safety tips or the latest technology, you comment, like or share the piece. With Facebook, for example, the simple engagement of a “like” helps boost that post for others to see as well, even those they may not be following that particular page. It also shows Facebook that you are interested in that particular page’s content, which in turn means you will begin to see more posts from that business. While we’re on the topic, let’s talk about Facebook. Facebook has been at the forefront of social media since its creation for college students back in 2004. One of the reasons we love Facebook is the ability to advertise to big audiences on a low budget. The advertisements we post are part of the 20% that solely focuses on generating leads. These advertisements can be used to show your featured inventory, promotions, or other aspects of your business, such as a service page. The remaining 80% is then used to engage your followers with content that shows your followers more about the people behind your business and how you can be a resource for the latest industry news and trends. This type of content grows your pages with engagements, such as “likes”, that we mentioned earlier. Twitter is a different beast to tackle. Creating a presence on Twitter is just as important as creating a presence on Facebook. With the partnership between Google and Twitter in 2015, Tweets are now being indexed and appearing as a result when you Google a person or entity with a presence on Twitter. By also following the 80/20 rule on Twitter, you are creating a cohesive digital presence. The message you share on your Facebook is similar to that of Twitter and your website. This allows your followers to gain trust in your business because you’re sharing the same, positive message about your business and industry across your platforms. Posting the type of engaging content in the 80% allows your audience to see the person behind the computer and sales receipt, while the 20% shows what you can do for their business in terms of products or services. 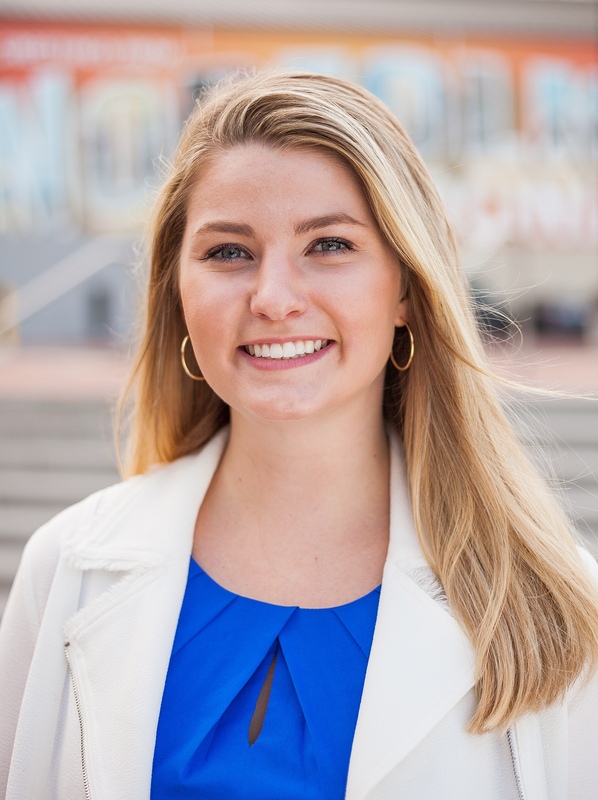 This approach creates a strong brand image and will help you move into other social platforms with a connected online presence! Questions? Share with us in the comments below!